Nokia’s latest endeavor to boast its cameraphone supreme comes at the expense of Samsung’s own Galaxy S4 Zoom. 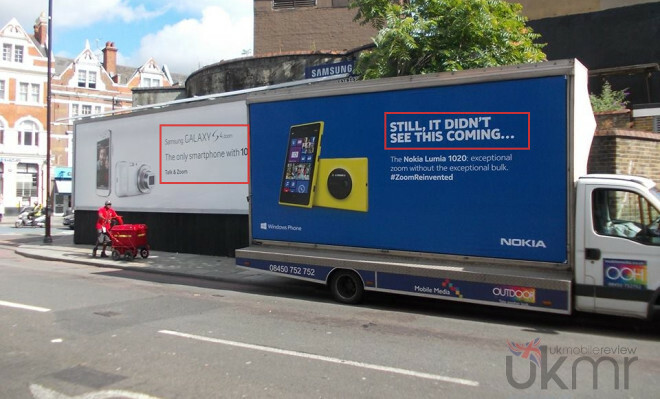 The Galaxy S4 Zoom had its own street ad, and some Nokia PR guys thought it would be funny to park a truck next to it. 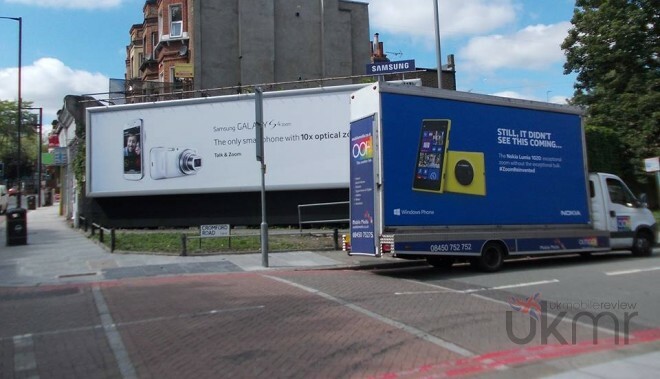 The Samsung ad goes – “Samsung Galaxy S4 Zoom – The only smartphone with 10x optical zoom” and the Nokia truck cleverly one-ups it with – “Still, it didn’t see this coming.” It’s pretty funny really. Nokia is known to throw punches at the iPhone 5′s camera, and its inability to capture flash images, and has also been known to take a hit at iOS and Android users.